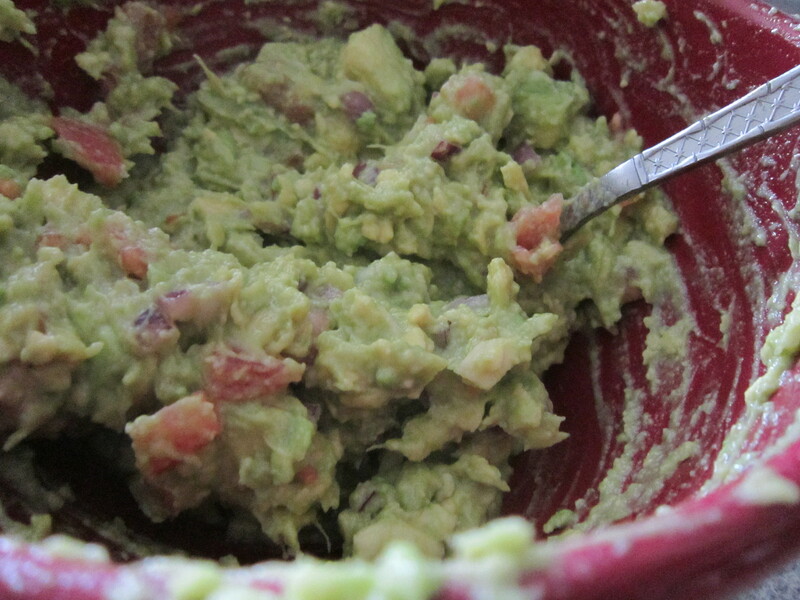 Maybe all guacamole is easy to make. I’m not sure- I’ve only ever made this one. Or squeezed it out of a Holy Guacamole bag. I’m sitting here swooning over Live with Kelly as she co-hosts with Daniel Radcliffe. I’m not sure that I’ve shared my ridiculous (and I mean ridiculous) obsession with Harry Potter on Spill the Beans. It’s one of those things that I should be embarrassed about, but I’m not. I would estimate that I’ve read the entire series through at least four times, and the first four books like 20 times each while I waited for the new ones to come out. And yes, I firmly believe that I learn something new every time. I’m not big on the movies because, of course, the accuracy isn’t up to my standard. But I’ve seen them all. And I would love to know what Daniel Radcliffe, Emma Watson, and Rupert Grint did in their previous lives to be lucky enough to be born a) British and b) looking exactly like a famous character from a book. Now that I’m on the Harry Potter train I just can’t get off. Maybe I’ll spend the day on Pottermore. 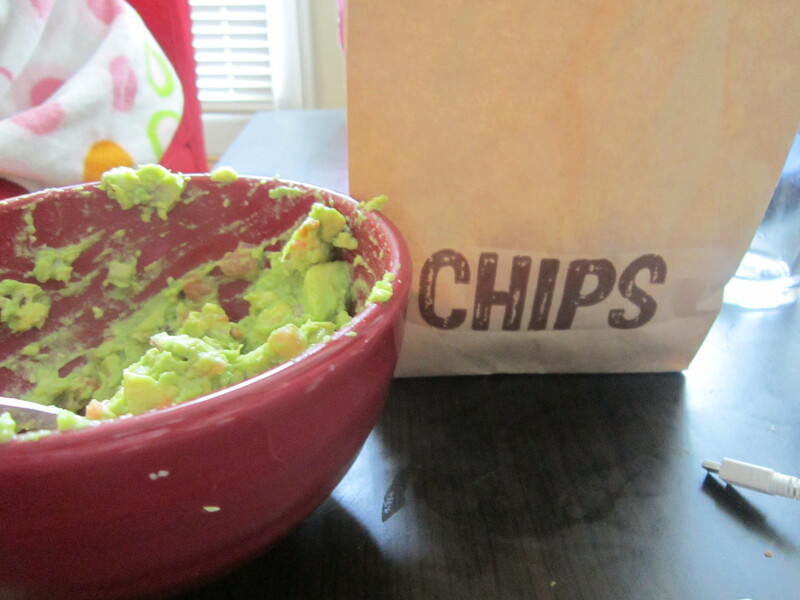 In the mean time, make this guacamole for your Super Bowl parties. 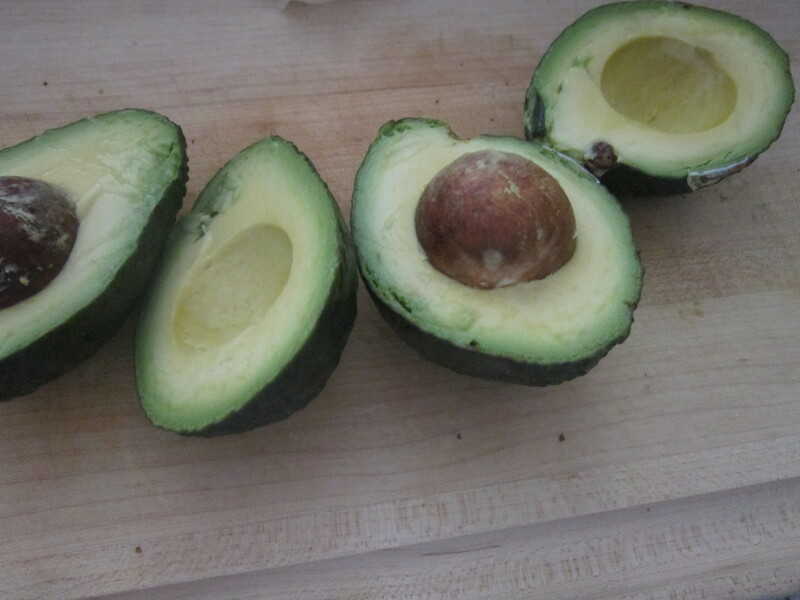 Slice the avocado in half, then remove the pit. I wind up and smack the knife into the pit so it’s stuck and then wiggle it out. That way you don’t miss out on any avocado by scooping it. Score the avocado and scoop out with a large spoon. Smash it with a fork, and squeeze lime juice over it to prevent it from turning brown. Then add in your tomatoes, onions, garlic, and salt. Mix it completely, and eat with chips. From Chipotle, apparently. I think I’m going to mix the rest of it with tuna today and make a sandwich out of it. Because I’m all about smelly foods that they say have “healthy fat,” which is an oxymoron I’m totally on board with. Now Rachel McAdams is on. Harry Potter and Regina George in one studio? Ohhhh my gahhhhh.